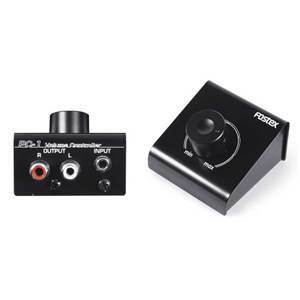 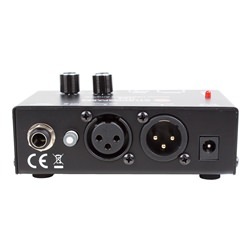 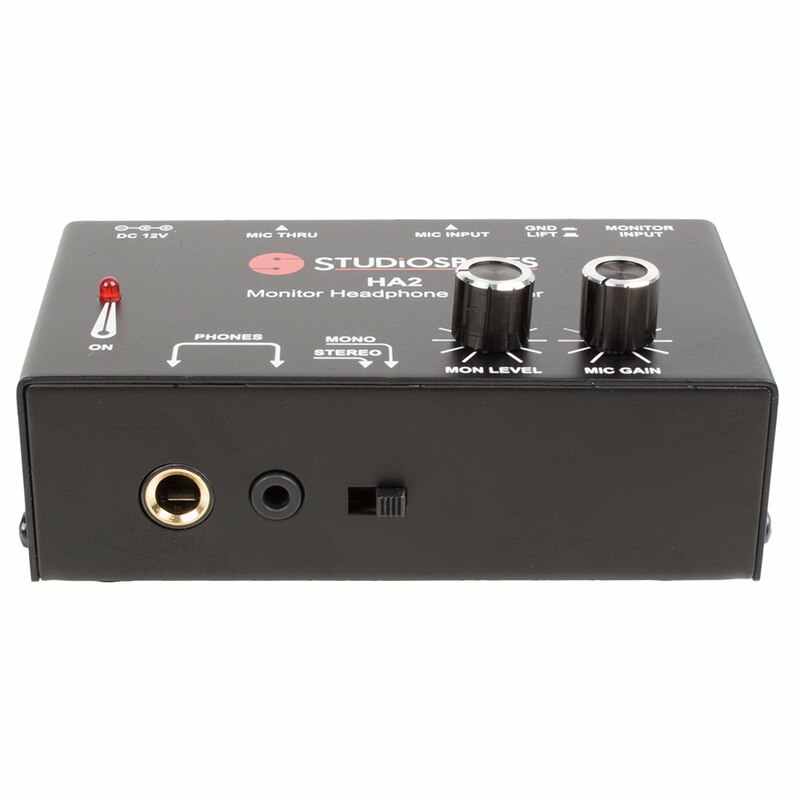 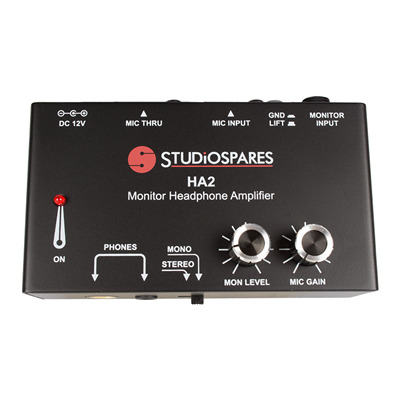 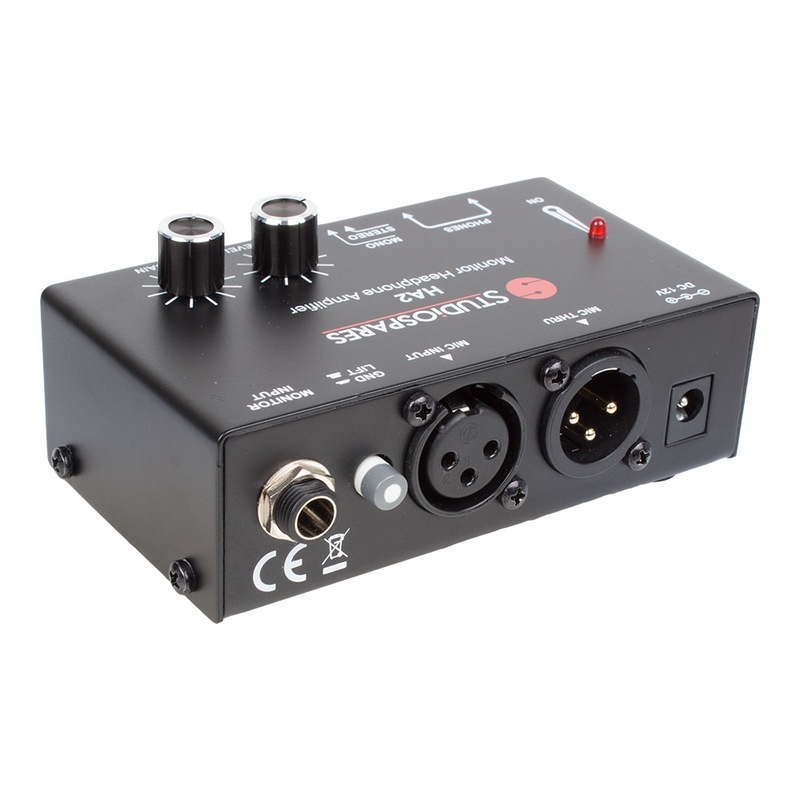 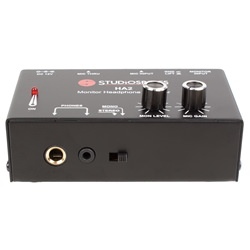 A monitor headphone amplifier which is great when your performance is lost in the mix. 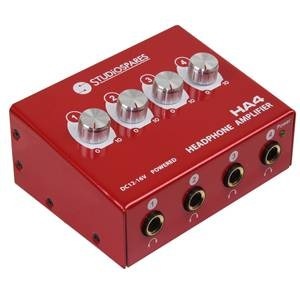 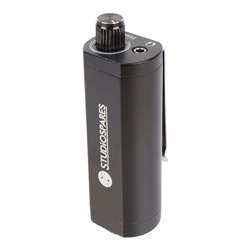 An ingenious headphone amplifier which passes the mixed signal through the amplifier unaltered and allows the performer to increase their microphone's volume to their headphones so providing "Me" volume. 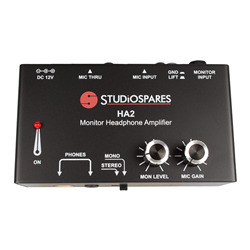 Main mixer signal passes through via Mic Input to Mic Thru on XLRs, so is unaffected by the HA2. Controls for the headphone volume and for the microphone input level applied to the headphone mix. 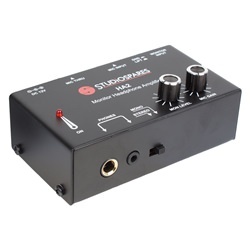 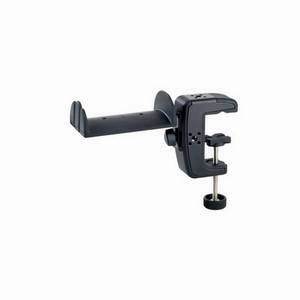 Mono/Stereo switch and ground lift switch eliminates possible ground loops. 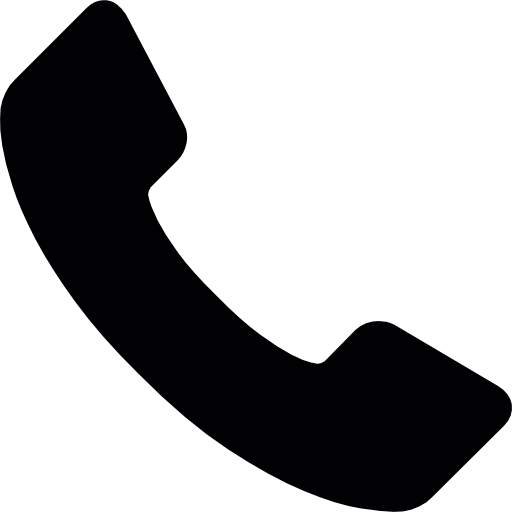 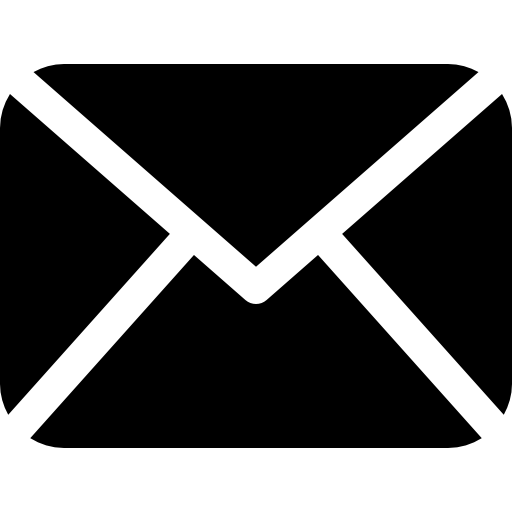 Passes Phantom Powering voltage through to microphone. 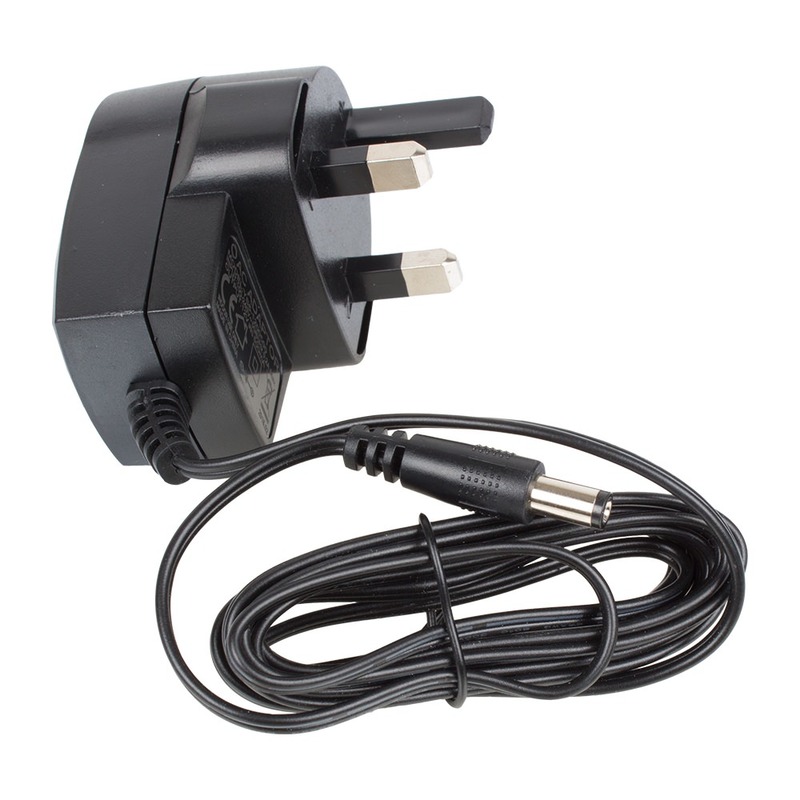 Two headphone sockets, Jack and Mini Jack and external power supply included.